What is it about John McClane and the holidays?! Here it is, Christmas Eve, and McClane (Bruce Willis, returning to his iconic film role) is off-duty in the nation’s capital. But a team of terrorists, in town to rescue a drug lord from justice, have taken over a major international airport, holding thousands of travelers hostage. Amidst a blinding blizzard, McClane must race against time to defeat the terrorists and their murderous leader (William Sadler). And if that’s not a big enough lump of coal in his stocking, he’s also contending with an inept airport police chief (Dennis Franz), the stubborn head of the army’s anti-terrorist squad, and the knowledge that his wife (Bonnie Bedelia) is trapped in a plane desperately low on fuel, circling overhead! Join the stars and filmmakers of the first four films for an unprecedented behind-the-scenes journey. 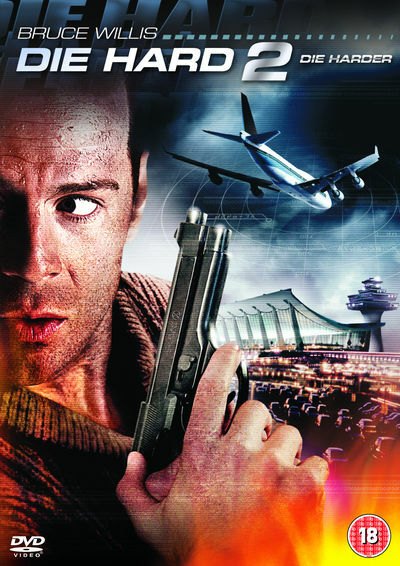 Seven all-new featurettes take you so deep inside the world of Die Hard, you may have to shoot your way out. Disc One: Audio commentary by Renny Harlin. Behind the scenes storyboards featurette.